The properties of KRION make it ideal for letting our imagination flow. 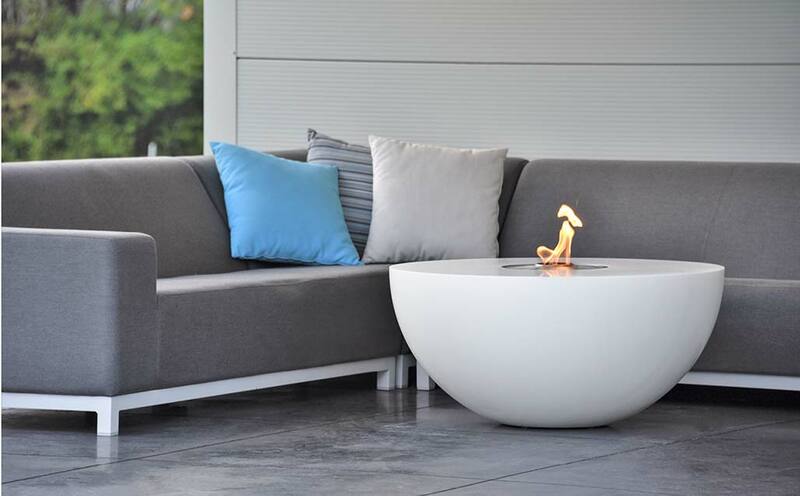 Belgian designer and architect Sabine Rosseel has created the versatile IRIS design, which is amazing not only due to its impressive appearance, but for the possibility of replacing the “Firebowl”, becoming an ice bucket style recipient, or a reception table for placing drinks, starters, magazines etc. It provides multiple opportunities for satisfying our needs. Sabine Rosseel created the elegant, minimalist design, in which KRIONPORCELANOSA1100 Snow White has been thermocurved with imperceptible joins, the final result evoking the shape of an eye. HIT-Liners is the company of architect Sabine Rosseel which commercialises this design at a global level.